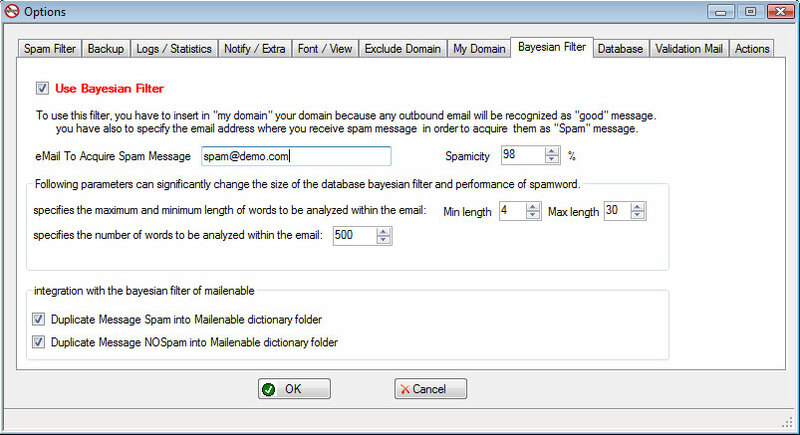 The first thing to do is enter or import domains that you manage with mailenable within "my domain" in the "options". This is because all mail sent from these domains are identified as ham. Then you must specify the email box that will contain all mail spam in the "Bayesian Filter." As they receive spam emails will need forward to the mail box specified above in order to allow the system recognition. Now you can edit ham/spam counter for any single words. 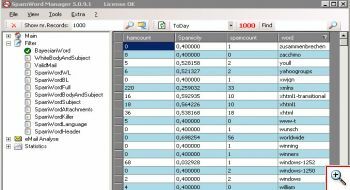 you can exclude words simply setiting hamcount=0 and spamcount=0 or increase/decrease the spamicity value by setting hamcount and spamcount.